Reliance Capital, Reliance Home Finance and Reliance Infrastructure from Anil Ambani-led Reliance Group were among 70 stocks from the Nifty 500 index that touched 52-week lows. Shares of three automobile companies – Mahindra & Mahindra (M&M), Hero MotoCorp and Maruti Suzuki India – along with Adani Ports and Special Economic Zone and nine stocks from the Nifty 50 index Cipla, Coal India, Grasim Industries, JSW Steel and Tata Steel hit their respective 52-week lows on Monday. Ashok Leyland, Balkrishna Industries, Bharat Forge, Minda Industries and TVS Motor Company from the automobile and related sector, HDFC Life Insurance, ICICI Prudential Life Insurance and General Insurance Company from insurance and Aditya Birla Capital, Gruh Finance, ICICI Securities, Lakshmi Vilas Bank and TI Financial Services from the financial sector too, hit 52-week lows today. Maruti Suzuki India (MSIL) hits a fresh 52-week low of Rs 6,318, down 3 per cent in the intra-day trade today. 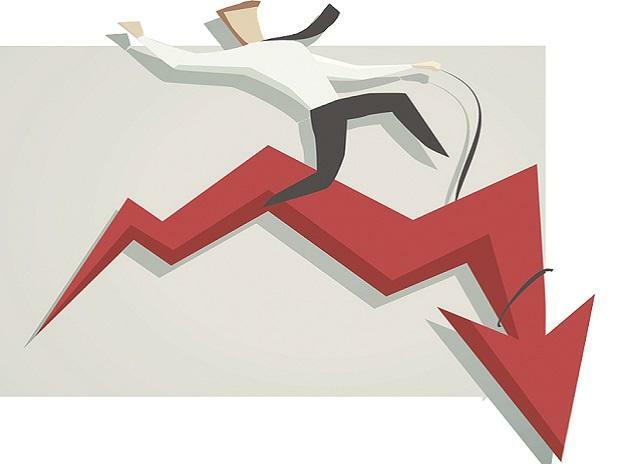 The stock of automobile company slipped 10 per cent in the past two trading days after the company reported 17.2 per cent year-on-year (YoY) decline in net profit at Rs 1,489 crore in December quarter (Q3FY19). Net sales during the quarter under review remained flat at Rs 18,926 crore over the previous year quarter. The company said the net profit during the quarter was impacted due to adverse commodity prices, foreign exchange rates, higher marketing and sales expenditure and higher costs in resources and capacities which were earlier planned to enable a higher estimated growth. The higher depreciation expense due to the introduction of new models and new engine also dented the profit growth. Going forward, analysts at Dolat Capital do not foresee volume growth in low double digits for FY20 as of now. MSIL has taken a price hike of 0.7 per cent in January and volume outlook still remains below par. With fixed cost expected to rise as second plant in Gujarat is underway, margin outlook remains subdued. Despite all this, MSIL is the best performing OEM (original equipment manufacturers) in the PV industry and is expected to consolidate its leadership position, the brokerage firm said in result update. Shares of metal companies were trading under pressure with most of the frontline firms like Tata Steel, Jindal Steel and Power (JSPL), Steel Authority of India (SAIL), JSW Steel, Coal India and Hindustan Zinc hitting their respective 52-week lows on concerns of weak demand. Metal stocks have de-rated over the last few months on risk-off trade due to uncertainties of a trade war and concerns about slowing demand in China. The earnings growth for metal companies has started moderating. Nifty Metal index hit a fresh 52-week low of 2,802 today, was down 15 per cent in the past three months. In comparison, the Nifty 50 index was up 6.3 per cent during the same period.